Detailed carved pendant with an image of the Lotus Feet of the Lord. 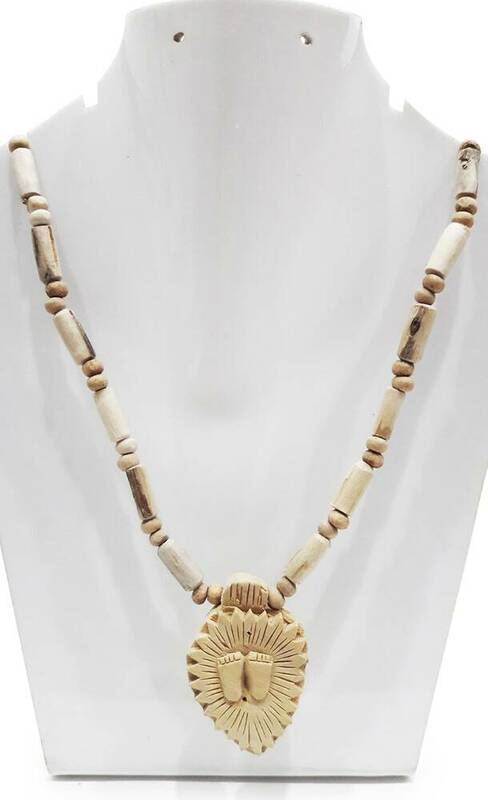 Set on an attractive string of pure Tulsi beads. Approximate sizes in inches: Necklace (19" long). Pendant (2" long by 1.2" wide).